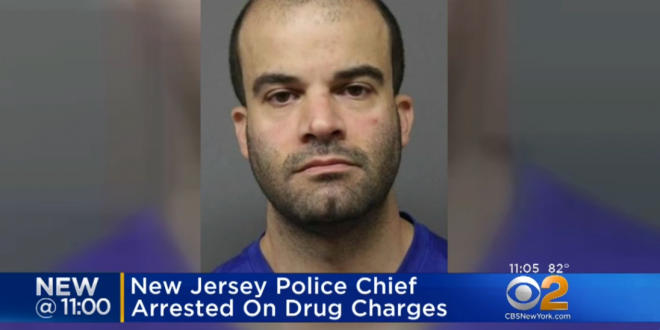 New Jersey Police Chief Busted Buying Cocaine [VIDEO] - Joe.My.God. Michael Coppola, the chief of the Palisades Interstate Parkway Police Department, was arrested Thursday for allegedly buying cocaine and having it shipped to a Passaic County post office box, authorities said in a news release. Investigators believed Coppola was ordering drugs through the internet and having it delivered to the post office box, according to the Bergen County Prosecutor’s Office. So prosecutor’s office detectives ensnared Coppola, 43, by putting a package filled with imitation cocaine in the post office box in response to a recent order, according to the prosecutor’s office. Coppola allegedly picked up the package, which he thought contained cocaine, on Thursday, according to the prosecutor’s office. A team of detectives then stopped and arrested the chief on Route 80 in Ridgefield Park. A state monitor appointed last year to oversee the notoriously rogue Palisades Parkway police recently noted that the unit rewards officers for making the most arrests and writing the most tickets.